Anyone in the market for a desktop Chromebox may be interested to know that during June of this year Lenovo will be launching their new Lenovo ThinkCentre Chromebox that will be available to purchase from $199. 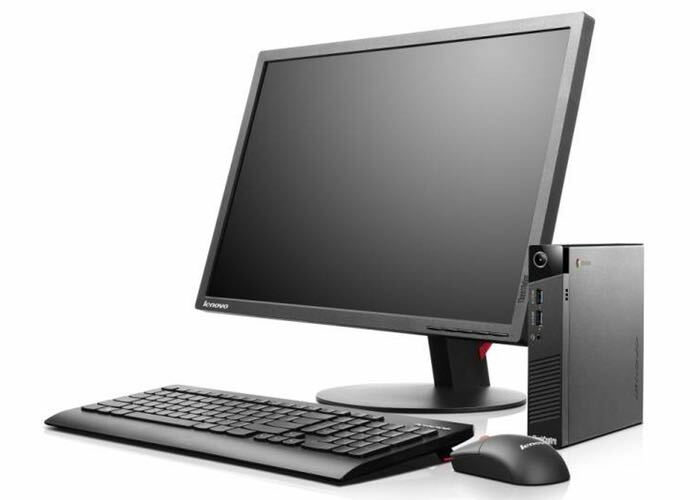 Lenovo already has an existing line of business aimed at desktop computers in the form of the ThinkCentre Tiny-in-One range, with the new system expanding on that and now small enough to be attached to the rear of an existing computer display. Lenovo explains a little more about the new system that measures just 7.2 x 7 x 1.4 inches in size. “Not only can the Chromebox Tiny be deployed in a variety of ways, it can also be transformed into a 23” Chrome OS AIO with the ThinkCentre Tiny-in-One (TIO). This is a modular AIO which offers a simple tool-less setup with minimal cabling for pain free deployment in almost seconds. For more information on the new Lenovo ThinkCentre Chromebox jump over to the Lenovo website for full details and specifications, before the systems launch in June 2015 with prices starting from just $199 via the link below.